At StorQuest Self Storage, we know that time is of the essence. There’s only so much time to work hard, spend time with your loved ones, and live life to the fullest. That’s why our facility in Arvada, CO, is completely decked out with the latest features to get you back to the things you love most in life. 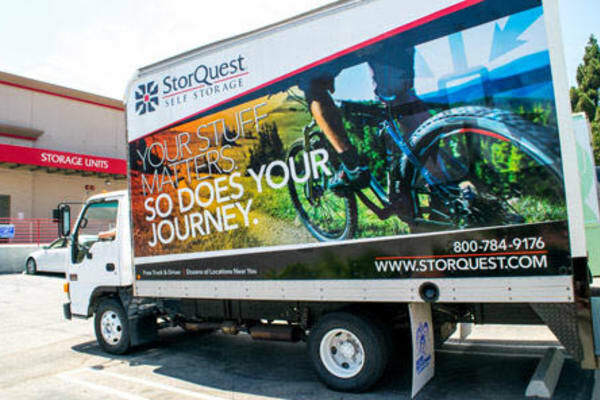 From the electronic gate access to ground-floor units that make picking up or dropping off your gear easy, you can trust that StorQuest Self Storage will get you in, out, and on to your next adventure. At StorQuest Self Storage, we care about your belongings just as much as you do. That’s why our fully fenced Arvada facility is equipped with an advanced 24-hour surveillance system, so you can enjoy your day of shredding at Breckenridge without ever having to think twice about your gear. Raise your storage standards and store with the best at StorQuest. Contact us today to learn more about our variety of storage units for rent in Arvada, CO.